"Very poor quality.. not at all safe"
looks n style is good bt all is waste as water leaks even though u try to tighten it harder. 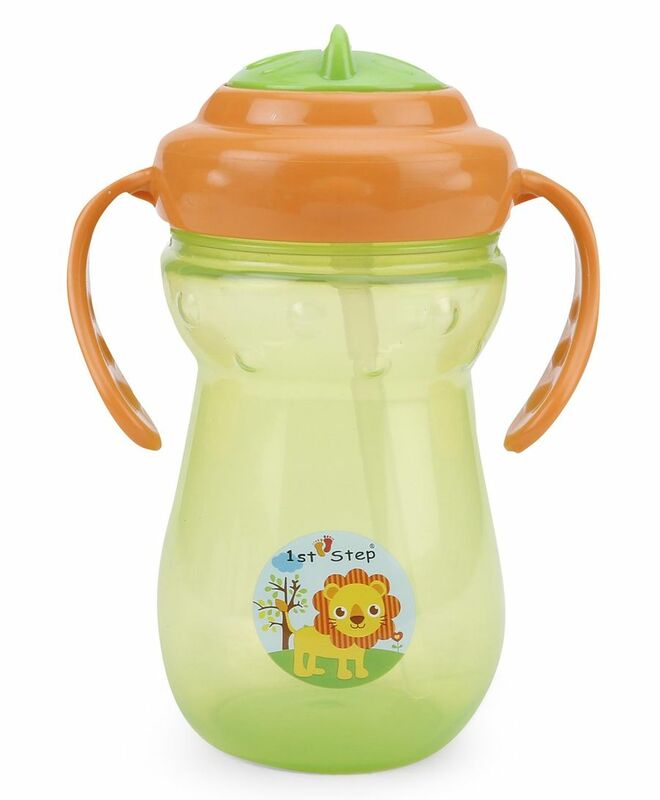 "Good quality but leaks when upturned"
"Good site for baby products"
This is very good site for baby products. I often order baby diapers, clothes, footware at reasonable price. No scope of any complaint. Awesome products & good quality service. Fast shipping and timely services. Its good. My baby loves it and its leak proof. Very hard to open and close the bottle. Also, water is leaking from straw even if we close the bottle tightly. waste of money. Dont buy this product.